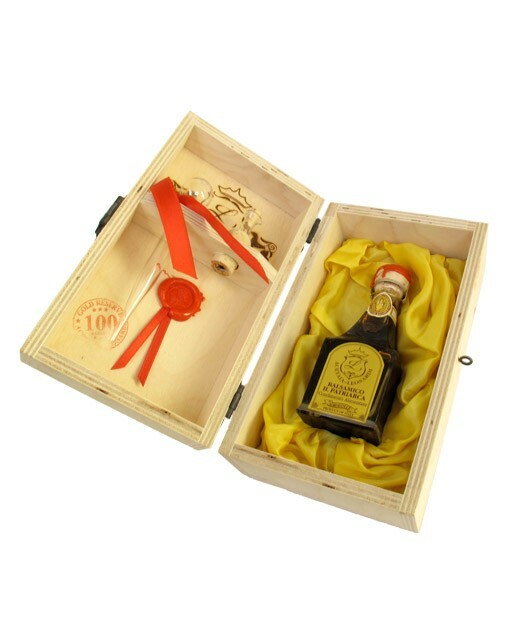 This balsamic condimento of Modena is obtained from Trebbiano and Lambrusco grape acetified and fermented. It was aged for 100 years in precious wooden casks and comes from the reserve of the Leonardi family. Sold in its box, with a glass pipette and a cap with a spout, each bottle is numbered. Balsamic Condimento of Modena is undoubtedly the most delicate seasoning. To obtain such a result, the house Leonardi observe all the rules imposed by the tradition and the secrets that have been passed down through four generations, such as ventilated attic, which achieve the required temperature ranges and batteries composed of 9, 12 to 15 barrels, which are arranged in descending order of volume and are produced using precious woods (oak, chestnut, cherry, ash, mulberry, juniper and acacia) that are distinguished by their inimitable flavors and fragrances. 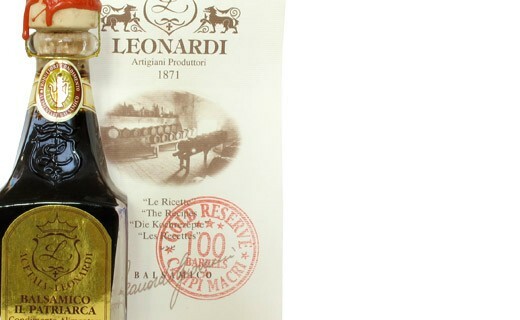 For even more control over the final product quality, Leonardi grows and selects, with trusted collaborators, the grapes used in the manufacture of balsamic Condimento of Modena. Note that it might be savoured as a digestive.